OXFORD, Miss. – Exploring the civil rights movement’s importance to continuing efforts for social justice is the focus of this year’s Gilder-Jordan Lecture in Southern History at the University of Mississippi. Jacquelyn Dowd Hall, the recently retired Julia Cherry Spruill Professor at University of North Carolina at Chapel Hill, speaks at 7 p.m. Wednesday (Sept. 24) in Nutt Auditorium. The event is free and open to the public. She will lecture on “How We Tell About the Civil Rights Movement and Why It Matters Today,” after spending the day with UM history and Southern studies students and faculty. Ted Ownby, director of the Center for the Study of Southern Culture, which organizes the lecture, said he is delighted to have Hall as this year’s Gilder-Jordan Lecturer because she has helped show how to incorporate gender issues into history. Hall’s research interests include U.S. women’s history, Southern history, working-class history, oral history and cultural/intellectual history. 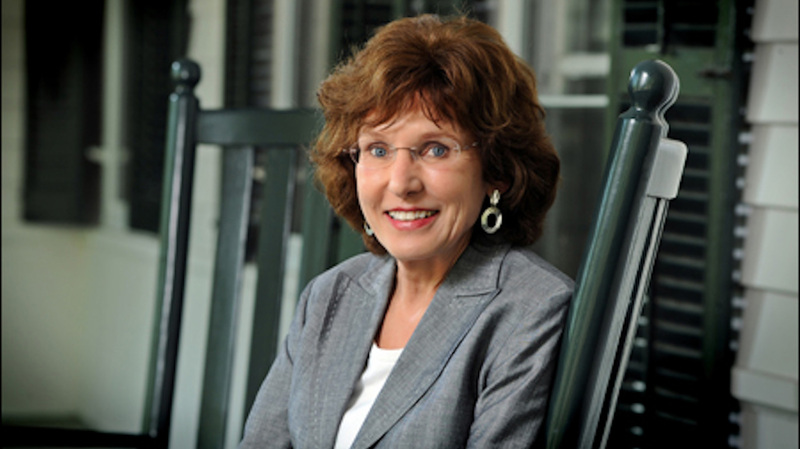 She is the founding director of the Southern Oral History Project and has served as a leader or member of the Organization of American Historians, the Southern Historical Association, and the Labor and Working Class History Association. In 1997, she received a John Simon Guggenheim Fellowship and was awarded a National Humanities Medal in 1999 for her efforts to deepen the nation’s understanding of and engagement with the humanities. Hall is working on a book about women writers and intellectuals and the refashioning of regional identity in the 20th century South, and another project explores the social movements generated by civil rights activism. Jessica Wilkerson, UM assistant professor of history and Southern studies, was a student of Hall’s at North Carolina. Organized by the center and the UM African-American Studies Program, Center for Civil War Research and Department of History, the Gilder-Jordan Speaker Series is made possible through the generosity of the Gilder Foundation Inc. The series honors Richard Gilder of New York and his family, as well as his friends, Dan and Lou Jordan of Virginia. Past Gilder-Jordan lecturers have been Barbara J. Fields of Columbia University, David Blight of Yale University, Grace Elizabeth Hale of the University of Virginia and Walter Johnson of Harvard University.